Body punchers don’t get enough love. 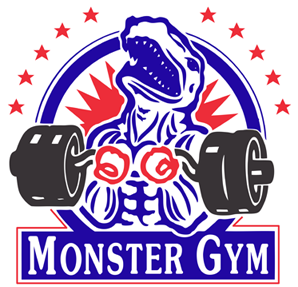 Except for those dramatic instances where a paralyzing left hook to the liver produces a knockout, much of the time an effective body attack is overlooked, even by ringside judges. And yet there are few more advantageous strategies in boxing than sapping an opponent’s strength, stamina and will with an assault on their belly and brisket. 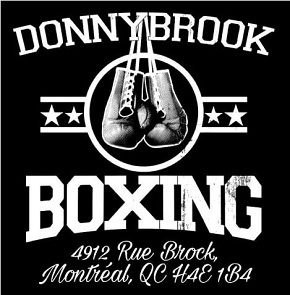 Most boxers do mix some hard body punches into their arsenal, but then there are the rare warriors who specialize in them and make body punching an essential part of their ring craft. Herewith, the 12 pugilists who utilized body batterings to their utmost effectiveness. 12. 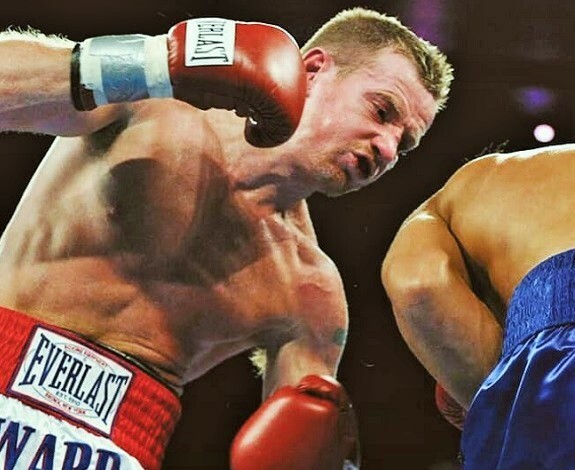 Micky Ward: “Irish” Mickey Ward’s signature punch was an extremely effective left hook to the liver. Few boxers have relied so much on that single, debilitating weapon. Ward throwing the big left to the body. 11. Alexis Arguello: “The Explosive Thin Man” understood well the value of patiently digging hard blows to the midsection to wear the opponent down. A body punch wizard, Arguello often mixed head and body blows in the same combination. 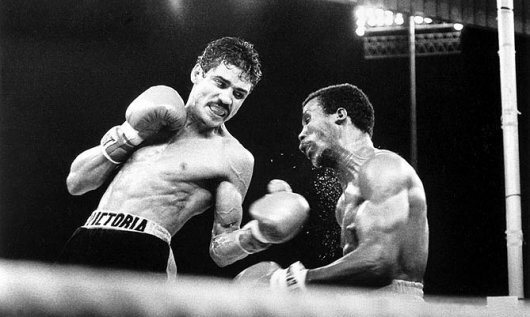 Arguello winning his second world title from Alfredo Escalera in 1978. 10. 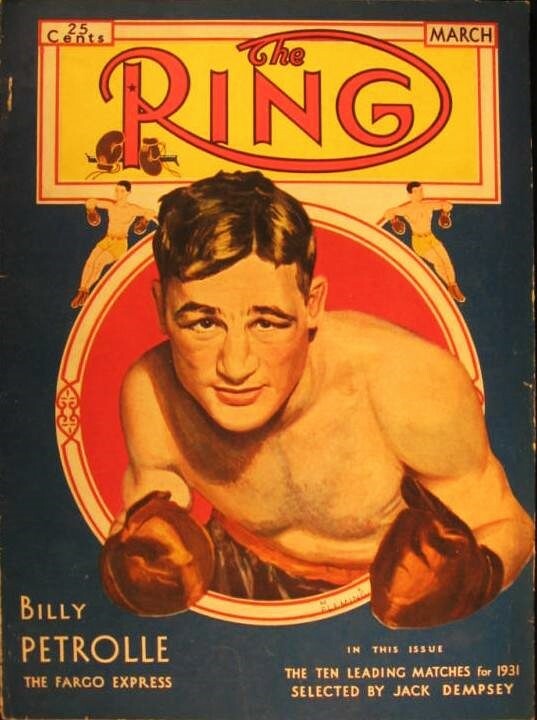 Mickey Walker: An extraordinary brawler and swarmer, the great “Toy Bulldog” broke down much heavier and bigger opponents with his non-stop body attack. The legendary Toy Bulldog. 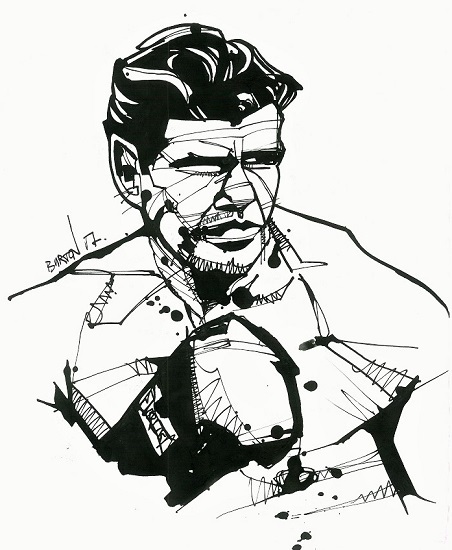 Ink drawing by Damien Burton. 9. 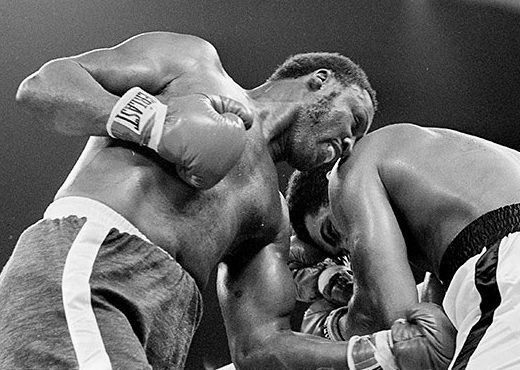 Joe Frazier: Smokin’ Joe’s ferocious attack started with full attention to his opponent’s mid-section, his left hooks to the body softening his man up for the impending assault directed upstairs. Frazier throwing bombs downstairs on Ali. 8. 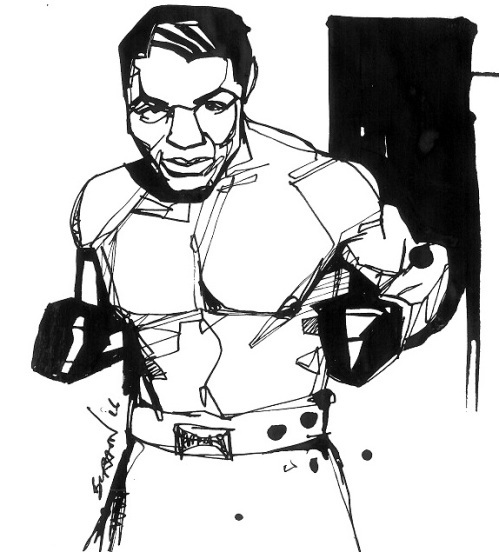 Billy Petrolle: Tough and aggressive, “The Fargo Express” was famed for his two-fisted body hammerings, especially his left hook. 7. 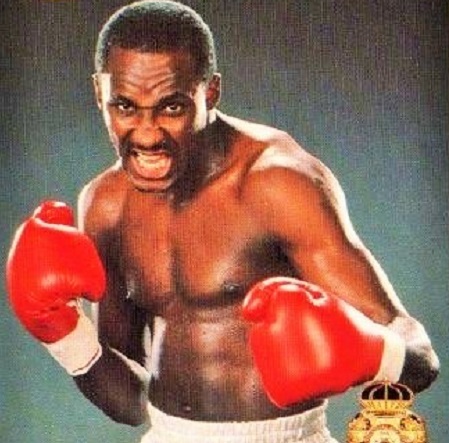 Mike McCallum: They didn’t call him “The Body Snatcher” for nothing. 6. 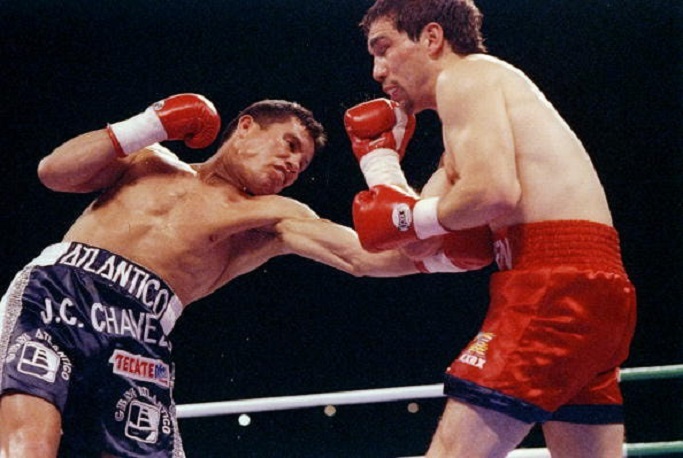 Julio Cesar Chavez: The sound of “JCC” landing life-sapping body punches was a familiar one in the 1990’s as Julio’s fists buried themselves under the ribs of no fewer than 87 stoppage victims. 5. 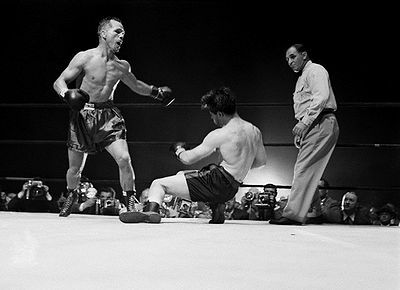 Jake LaMotta: Bulling inside in his trademark fashion and absorbing punishment in the process, LaMotta constantly worked to get in close and batter the torsos of such champions as Marcel Cerdan and the great Sugar Ray Robinson. The Bronx Bull attacks Cerdan’s mid-section. 4. 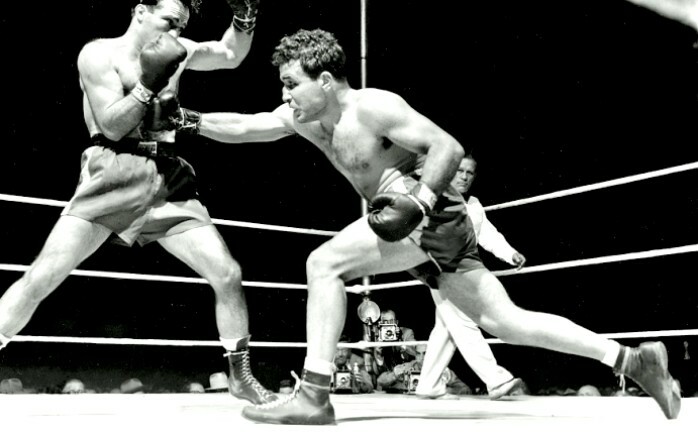 Tony Zale: They called him “The Man of Steel” and the moniker had much to do with his cast-iron determination to whack away at his opponent’s ribs, punishing fighters and methodically wearing them down with a two-fisted body attack. Rocky Graziano succumbs to Zale’s relentless body attack. 2. Henry Armstrong: “Homicide Hank’s” modus operandi was all about getting close, sticking to the opponent like super glue, and unloading heavy artillery to the breadbasket. 1. 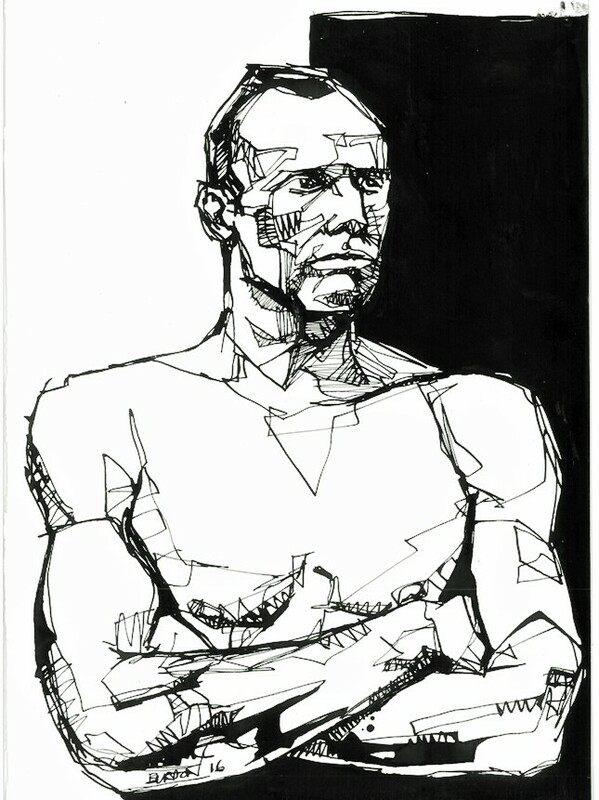 Bob Fitzsimmons: Boxing’s first triple-crown champion specialized in hard, energy-sapping body blows and is credited with inventing the solar plexus punch. A single left hook to the body from Fitz won him the heavyweight championship of the world in his historic battle with James J. Corbett. 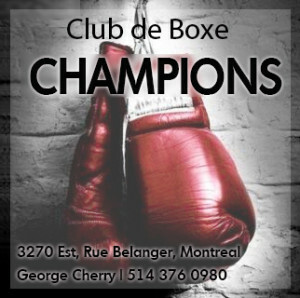 Honorable Mentions: Rocky Marciano, Eusebio Pedroza, Pernell Whitaker, Roberto Duran, James Toney, Joe Louis, Tony Canzoneri, Thomas Hearns, Sugar Ray Robinson, Nicolino Locche, Wilfredo Gomez, Ricky Hatton, Jack Dempsey, Mike Tyson, Gennady Golovkin, Brian Viloria, Ruben Olivares. “Honorable Mentions: Pernell Whitaker” Puncher ? I dont understand. Whitaker was in fact renowned for his use of body punches to wear down his opponents. Thanks for reading! Tony Zale was from Gary,Indiana—-where they make/made Steel. Great article but you forgot Wilfredo Gomez. Dynamite to the body, just dynamite! Is this list a joke? You have a list of “Greatest” body punchers with Roberto Duran and Thomas Hearns in the honorable mentions… And Micky Ward and Alexis Arguello made the list? 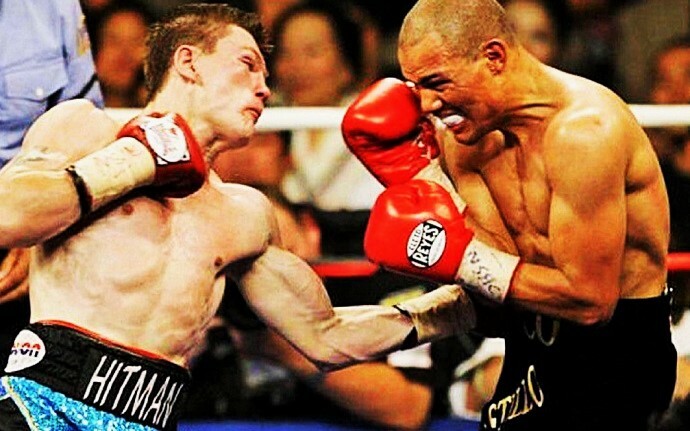 Tommys 1-2-left to the body was one of the sweetest combinations of all time and completely trumps Wards double left hooks. Alexis was an amazing fighter, but when compared to the absolute ferocity of Duran and his relentless body attack, this is a no brainer. Without Gerald McClellan? And Thomas Hearns in the honorable mentions? This list is a joke!